If you have followed this blog for more than a few weeks, you've probably seen me make references to Common Craft videos. More than ten years ago Common Craft pioneered a unique style of online video that has since been imitated, but never quite duplicated by others. That style uses paper cut-outs on blank white canvas to illustrate an explanation. For a sample, take a look at this Common Craft video explanation of fair use. 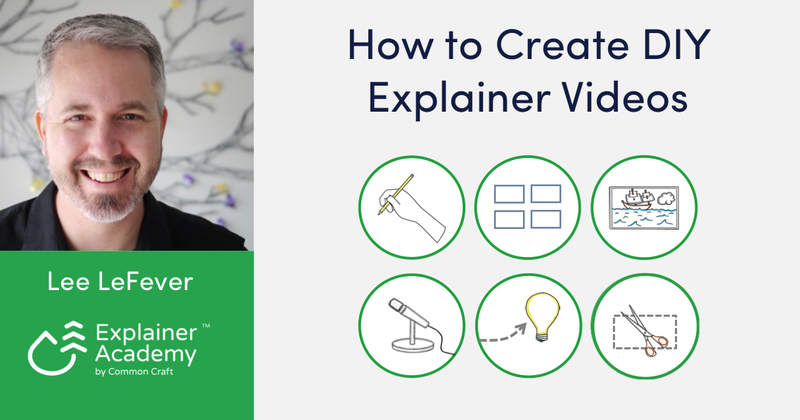 Next Tuesday, November 28th, Common Craft's founder, Lee LeFever is a hosting a free webinar in which he'll explain the process of creating explanatory videos. An added bonus for attending is a free 100 pack of Common Craft cut-outs. Register here! Even if you're an experienced video producer, you can benefit from attending this free webinar. I attended a previous webinar that Lee hosted on this topic and it was totally worth my time!